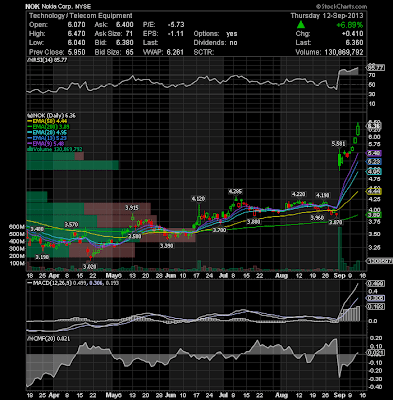 Quest Rare Minerals Ltd Common Shares (NYSEMKT:QRM) is gaining some momentum again. QRM's stock has just touched the bottom of this rising channel and rebounced from there on volume above average. Judging from past weeks, every time the stock touches the lower line of channel, it bounces back to the upper line. 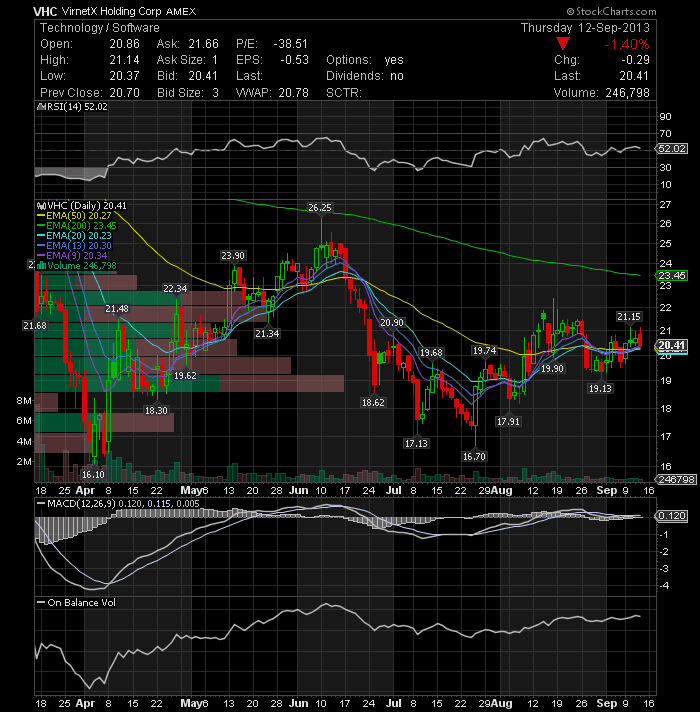 The technical daily chart shows that MACD is about to cross its signal line, while the RSI is also gaining strength. 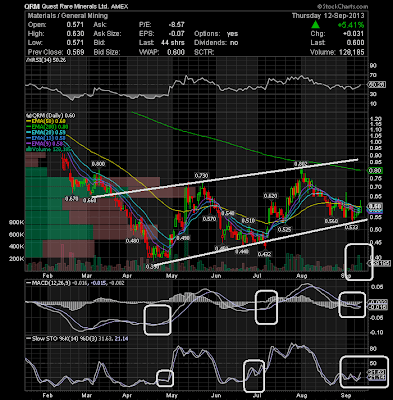 We could see a 25-35% possible bounce up to $.80 - $.85 a share (upper line of the channel). The company has a book value of about $1.20 a share, no debt and 8M in cash. 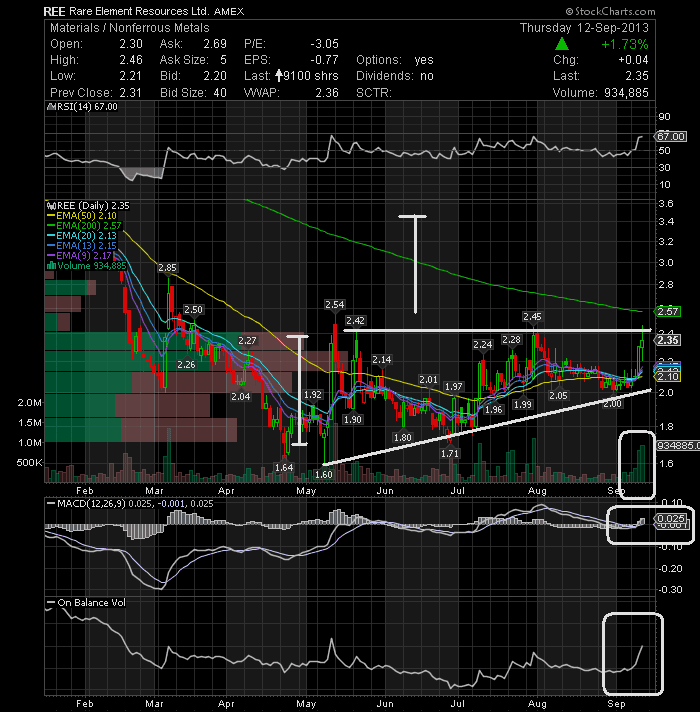 Rare Element Resources Ltd (NYSEMKT:REE) has a large upward potential, based on this ascending triangle formation and is currently near the apex. 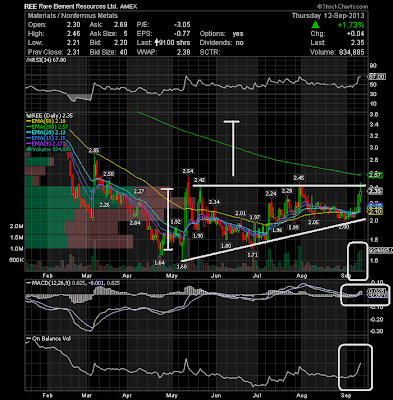 If the stock breaks the triangle higher over 2.45 then there is resistance at 2.57, followed by 2.85 and then 3.5. 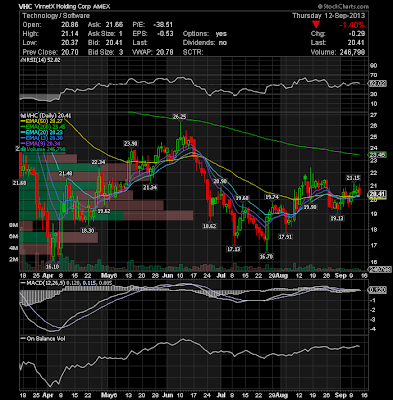 VirnetX Holding Corporation (NYSEMKT:VHC) The 50-day EMA on daily is still acting as support. It needs to hold this level or it will see a correction. Long positions can be considered only when it crosses the 21.15 area with a stop loss at 19. Watch to see what it does here. 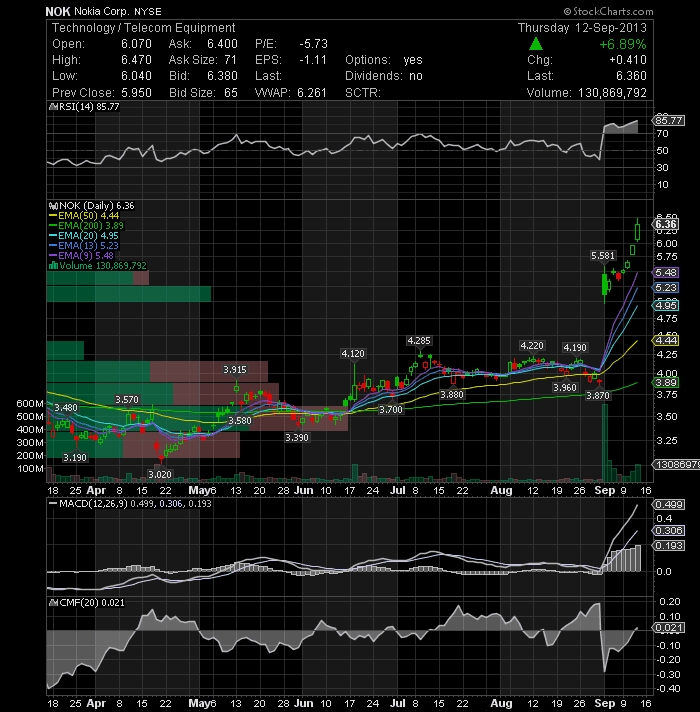 Nokia Corporation (NYSE:NOK) made a new 52 week high today closing at $6.36 on heavy volume. 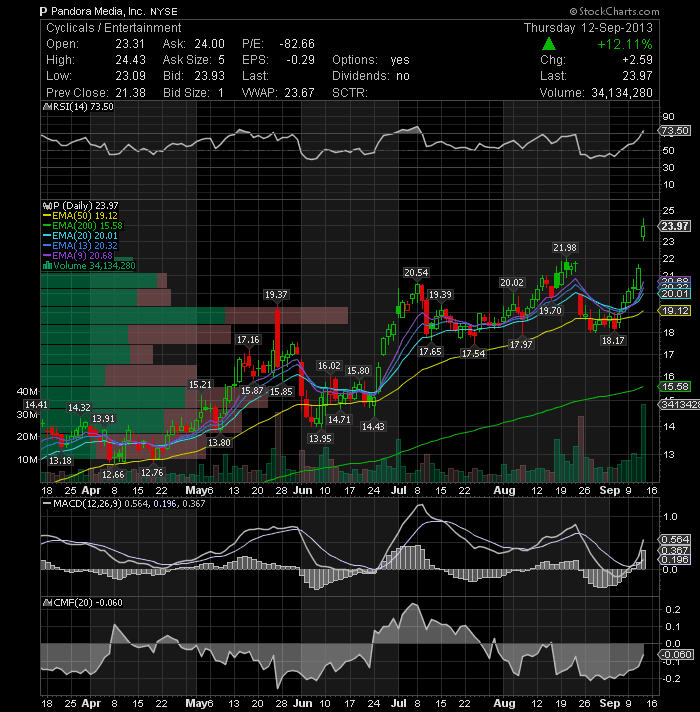 The stock hit a high of $6.47, which is now resistance for Friday’s continuation move. 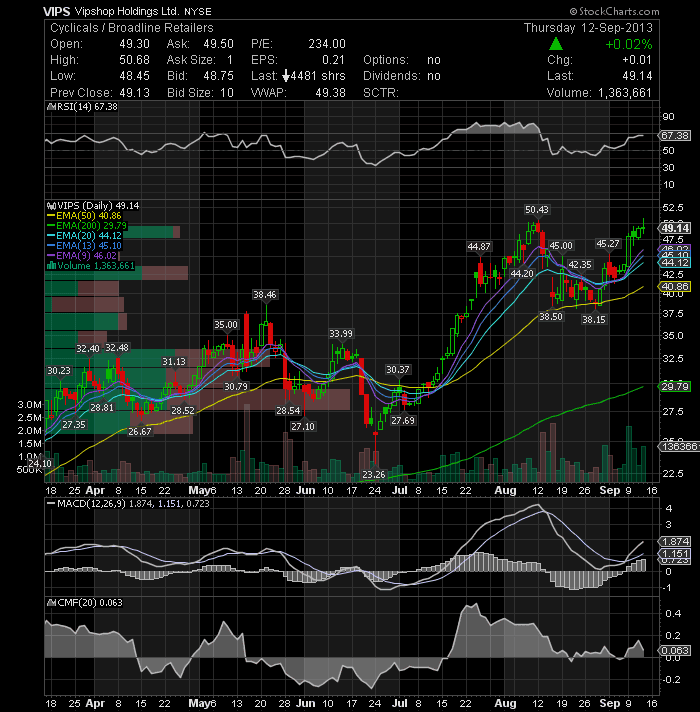 If the stock can break through resistance, we should see another strong upside move. 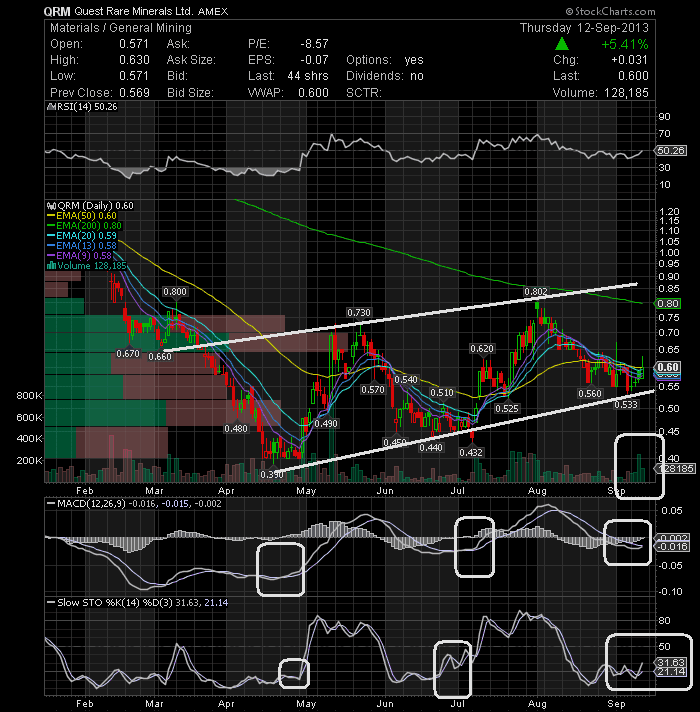 NOK will move very quickly, so watch the stock closely on Friday. Pandora Media Inc (NYSE:P) continues to show strength as the rise in strong volume confirms the price uptick. This stock is clearly in an impulsive wave upwards. If you are on board, there's nothing more to do than enjoy this rally. 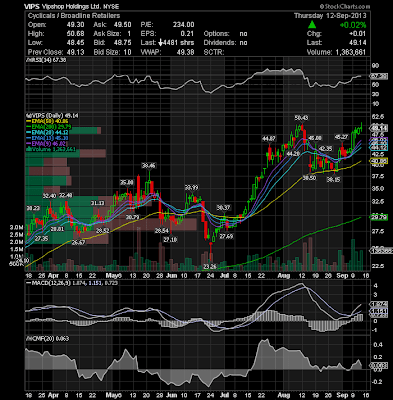 Vipshop Holdings Ltd (NYSE:VIPS) broke above previous high but failed to close above it. Therefore, the near-term trend is still up.